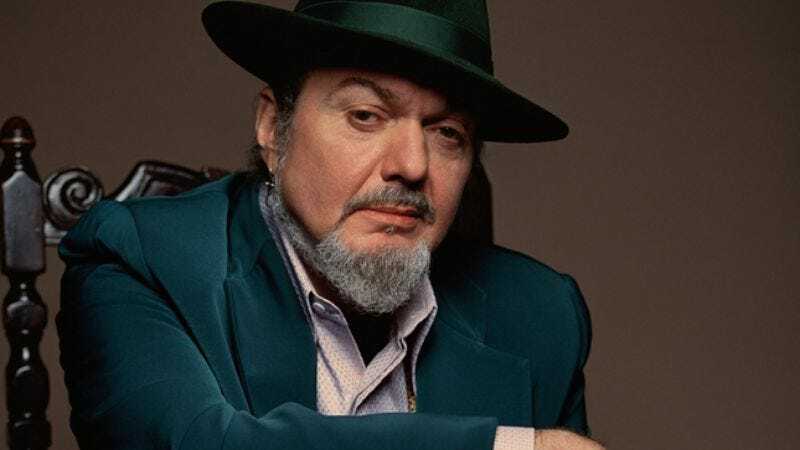 The artist: If the spirit of New Orleans could take physical form, it would look something like Dr. John, the musical persona of Mac Rebennack. Beginning as a prolific guitarist, Rebennack switched to piano when he sustained a gunshot wound to one hand during a bar fight. After working on innumerable records as a session pianist in Los Angeles, he broke out on his own when he seized on the downtime during another artist’s recording sessions to cut what became the beginnings of his first album, 1968’s Gris-Gris. Four decades later, he’s found new inspiration from producer Dan Auerbach (Black Keys) and the music of Ethiopian Mulatu Astatke on his new album, Locked Down. Dr. John: Well, actually, we went and cut the tracks, and then I whipped up some words, and that’s how we kinda got this record started. When Dan [Auerbach] brought in The McCrary Sisters to sing backup, then he introduced some shifts to make it play good with that, and I like that. He had good ideas on this thing. AVC: The backing vocals hearken back to some of the earliest records you cut under your own name after you moved on from session stuff. Did you have a sense Dan wanted to draw a connection there? DJ: You know, I was real open to just trying whatever we were gonna do. I had sent him some downloads of some stuff I was thinking about, and I don’t think we wound up using anything but maybe one song called “Ice Age.” But I felt real cool that everything was good. AVC: You’ve made several records in recent years that were about or inspired by New Orleans history, especially what happened to the city after Hurricane Katrina. “Revolution” draws on that kind of anger as well. DJ: Right after Katrina, we did Sippiana Hericane. I was real upset with everything. And then by the time we cut all the stuff that became City [That] Care Forgot, I had information I thought it was important to relay to people. Even though we didn’t use all those songs, I think we got the basic stuff out that was what was going on. I think the fact that this is the most disappearing land mass on the planet Earth is like, I don’t think any other state would allow this. If this was any other part of the United States, this wouldn’t happen. We’re planning to do a [ceremony for] healing the Gulf coming up in April, the 16th through the 20th. We got a lot of indigenous people of the United States and Canada and South America coming in. AVC: You wrote a four-part suite in response to Hurricane Katrina. The only time you’ve done something comparable was with “Angola Anthem,” which took up the entire second side of 1970’s Remedies. What drew you to write something so complex? DJ: You know, it’s weird, ’cause I was trying real hard to get something together at a time when it was really twisted in my head. It was a difficult record to do. By the time we did City [That] Care Forgot, I had better thoughts on it all. I had clearer thoughts, anyway. But I remember Chris Rose from the newspaper here [the Times-Picayune], he was writing stuff, and he took me around New Orleans. It was the first time I was looking, really, right after the storm, that I saw maybe the amount of devastation that had happened in the Lower Ninth Ward. Where my friends lived, which was about six blocks from where the industrial canal was, houses was smashed into houses, and there were like four houses smashed together. You could still smell corpses in the houses. You could see a trail of rats and cats and dogs that were trying to eat something out of there, probably trying to eat some of the bodies, or whatever. Seeing things like that made me think of things in a lot of different areas, you know. But I had all this other information, you know, from computers, that I thought, “Wow, these things have not been reported.” I thought those were important things to report, like when they were picking up bodies off of Claiborne [Avenue], and all these bodies was so full of bullet holes. There was a lot of strange things going on here during that. And before the General got here with all of his troops, there was all kinds of mess going on. None of that was reported, you know, so we tried to put that in songs. DJ: That’s one of the oldest Indian songs I always heard. I did the version that Danny Barker had did. When I cut it, Danny was on that album. I feel like Danny was a solid cat in my life since my childhood. He was always a really good man. When we did it on that TV show, I was just trying to give the right kind of props to the Indians, you know. Indigenous peoples was messed over. It was like a tradition here. We broke every treaty with them that ever was written. I think Andrew Jackson wanted to wipe them out. All of these kind of things is not necessarily good things. In fact, Hitler got the idea for concentration camps from the Indian rez. That’s not something I’m proud to say about, you know. [Laughs.] But these are truths, and we need to say them. AVC: You made an effort right from the beginning with the Night Tripper persona to connect with that past of the city, the Creole influences and gris-gris and medicine shows. AVC: You recorded “Gris-Gris Gumbo Ya Ya” right in the middle of someone else’s session, didn’t you? DJ: Sonny & Cher was doing a movie and had studio time that they didn’t need. Me and Harold Battiste and all these guys from New Orleans went in the studio and just started cutting. Plas Johnson and John Boudreaux, there was so many guys and girls from New Orleans that was part of it, Shirley Goodman from Shirley & Lee and Tami Lynn, everybody who was involved with it was from New Orleans, so they had an understanding of New Orleans gris-gris as opposed to Caribbean gris-gris, because it is a little different. AVC: The backing vocals have a very loose, spooky feel; they’re not all lined up like The Shirelles. DJ: Yeah, Tami and Shirley all sang they hearts out, and Dave Dixon and Jesse Hill and those guys from New Orleans, they all just really put they whole spirit into it. Jesse’s sister was the one that taught me voodoo back in like the ’50s. AVC: Was that looseness something you were trying for, or was it just because you cut the record in such a short amount of time? DJ: Well we, I had written this record, and originally, I thought we were gonna sell it to another label that The Turtles or some band was with. And then we wound up cutting it through Atlantic. That was only because I was working with Sonny & Cher. They were able to look at [what] happened on their studio time. Sonny was real kind to do that.